With The Legend of Zelda: Breath of the Wild, Nintendo is returning to its roots with a world in Hyrule that’s fosters player freedom and exploration. In a sense, it’s much like the original that arrived 30 years earlier but the two games have much more in common than one might initially think. 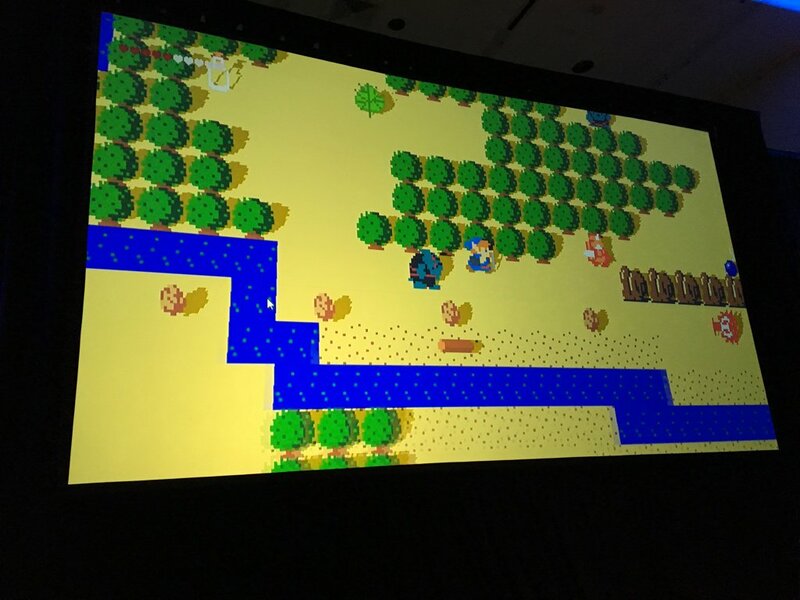 During a recent GDC 2017 panel titled Change and Constant – Breaking Conventions with The Legend of Zelda: Breath of the Wild, game director Hidemaro Fujibayashi revealed that his team created a 2D prototype game in the image of the first Zelda game in order to test gameplay philosophies and ideas for Breath of the Wild. As IGN notes, Fujibayashi and his team specifically used the prototype to experiment with multiplicative gameplay – making the game so that objects react to the player’s actions and the objects themselves also influence each other. Fujibayashi said with the new Zelda game, he wanted to create something where the player can truly experience freedom in an expansive playfield. Through exploring this field, Fujibayashi said he wanted the player to be able to experience a new sense of adventure again and again and be able to freely navigate through it as they see fit. It’s this line of thinking that led him back to the original game. Surely I’m not the only one that thinks Nintendo should consider making a Legend of Zelda Maker-style game after seeing this?